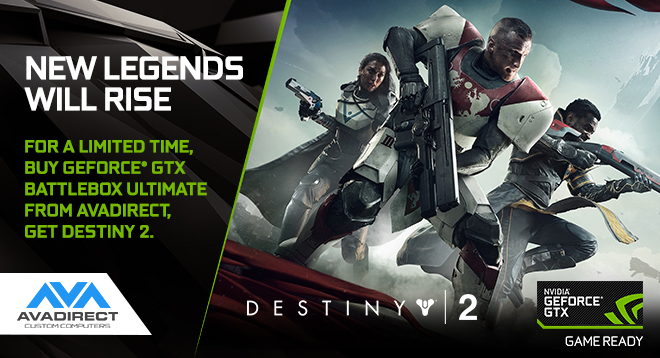 GeForce® GTX 1080 TI GPUs in the Battlebox Ultimate bring the beautiful world of Destiny 2 to life in stunning 4K. Humanity’s last safe city has fallen to an overwhelming invasion force, led by Ghaul, the imposing commander of the brutal Red Legion. He has stripped the city’s Guardians of their power and forced the survivors to flee. Venture to mysterious, unexplored worlds of our solar system to discover an arsenal of weapons and devastating new combat abilities to defeat the Red Legion and confront Ghaul. 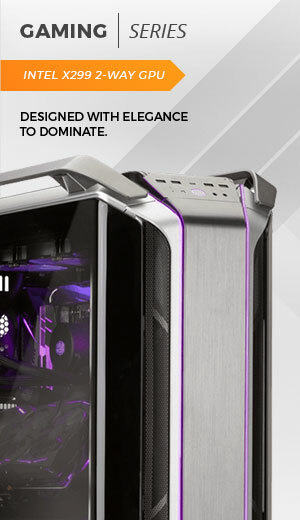 Experience incredibly smooth, tear-free gameplay with NVIDIA G-SYNC™ and share your greatest gameplay moments with NVIDIA ShadowPlay™ using GeForce® Experience™. Get early access to the beta, and a copy of the game with the purchase of an AVADirect Battlebox Ultimate.